I would like to receive occasional information and updates from Auction for Africa and jumblebee. 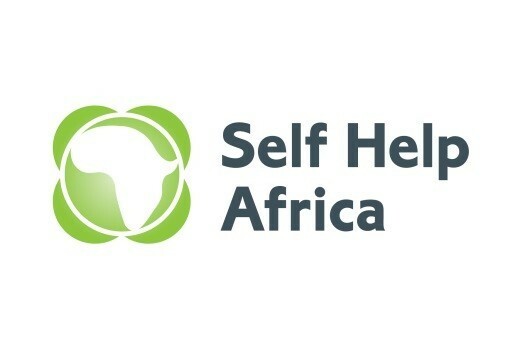 In partnership with Shrewsbury Food Festival and executive chef Chris Burt, Self Help Africa are hosting an 'Auction for Africa' to coincide with this year’s Festival. 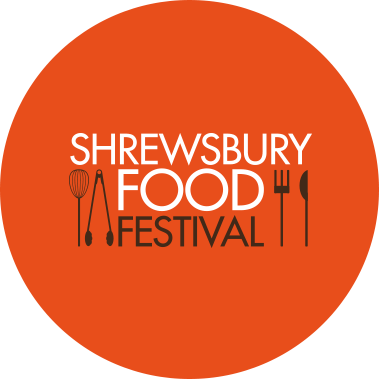 Together we're showcasing the ‘Best of Shropshire’ featuring one-of-a-kind foodie gifts and fun experiences. The bidding frenzy will kick-start on Friday 8th June and close at 5pm on Sunday 24th June, the final day of the Festival. All bids will be taken online, via this website. All auction lots have been generously donated by our local friends and partners, so a huge thanks to you all for supporting Self Help Africa. A weekend break for two in a four poster suite, arriving Friday afternoon and departing Sunday morning. With Bed & Breakfast on Saturday and Sunday morning and a complimentary evening meal on Saturday night, up to the value of £100. 3. Valid until March 2019. Cromwell's is a local independent business, voted a top 15 Gastro Pub in the Midlands by the Midlands Newspapers. They are the recipient of a Mayoral Award and have a Five Star Food Standards Agency kitchen. This entitles two people to stay at Rowton Castle in a four poster room, inclusive of dinner in the oak panelled restaurant and a full english breakfast following your stay. Not only a truly remarkable wedding venue, Rowton Castle’s impeccable services and facilities range from conferencing, to fine dining in their romantic cedar restaurant, and remarkable hotel rooms and suites. Whatever the occasion; conference or country escape, the team at Rowton Castle would be delighted to help to ensure that every detail, big or small, is taken care of. 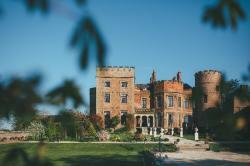 For more details about Rowton Castle, its wedding venue, restaurant and hotel, you can call 01743 884044. Terms & Conditions: For a stay of one night, subject to availability Monday - Wednesday. Excluding Drinks. Voucher will be sent to winning bidder upon receipt of full payment. An overnight stay in beautiful Shrewsbury at Darwin's Townhouse alongside four small plates and a carafe of wine at Darwin's Kitchen. Darwin’s Townhouse, a late 18th century Georgian townhouse, was completely refurbished in 2016. Their 20 bedroom boutique B&B is privately owned and they take pride in making their guests feel welcome and at home. At Darwin's Kitchen, the Executive Chef Adrian Badland and Head Chef Daniel Brearley have carefully created a menu offering guests a social dining experience. The kitchen offers a wide range of small and bigger plates, some British favourites and some inspired from around the globe. Terms & Conditions: Valid until 31.12.18. Subject to availability at the time of booking. The winning bidder will receive a voucher. Your contact details will be shared with the venues, so that they can contact you directly to arrange your VIP experience. Fly in a hot air balloon for a truly unforgettable experience like no other. 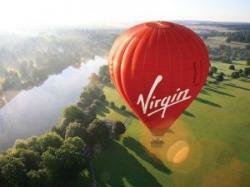 Enjoy breath-taking views, landmarks and the wonder of nature from a new and unique perspective as you take to the skies in an iconic red Virgin hot air balloon. No other experience offers this unique combination of exhilaration and serenity, as you go up, up and away to drift gently across the UK’s stunning landscapes at anything up to 5,000 feet. 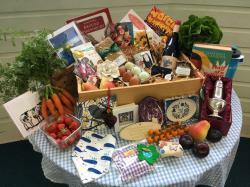 A luxury hamper from 'Britain's Favourite Market'! This is an exclusive, money-can't-buy prize full of delights from The Market Hall in Shrewsbury. Collection only. Hamper contents will be released to the winning bidder upon receipt of full payment. Perishables will be added on the day of collection to ensure fresh produce. One-week work-experience with My Shrewsbury! Suitable for any GCSE age student or above who is interested in media, publishing or journalism. 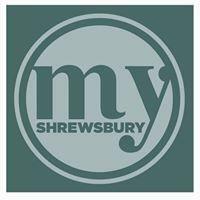 They will have the chance to spend a week working with editors at My Shrewsbury HQ and will be given real assignments and writing tasks, and will also shadow photographers and journalists during the week. This is an excellent opportunity to build a portfolio and collect CV points! To be taken at a mutually agreed date during 2018/19. The opportunity for two people to taste eight fantastic courses, which take inspiration from around the world at The Mytton and Mermaid based just outside Shrewsbury, Shropshire. The restaurant prides itself on using Shropshire produce wherever possible and regularly updating menus to reflect the changing seasons. Having gained an AA Rosette for culinary excellence, their Executive Head Chef Chris Burt & his team are constantly pushing boundaries, embracing both old & new alike. 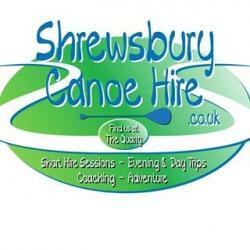 This auction lot entitles you to hire a canoe, explore the river Severn around Shrewsbury and enjoy the natural beauty of the river from a unique perspective. You will have a 3 hour adventure, starting and ending in The Quarry Park. You'll also be able to enjoy a delicious three course set lunch at Riverbank Bar & Kitchen, which has a beautiful river setting in the heart of Shrewsbury. The restaurant boasts a unique combination of hearty Mediterranean cuisine and wholesome British classics, offering a choice of innovative dishes with comfortable favourites. Vouchers valid until 1 June 2019 for two adults. Booking subject to availability. 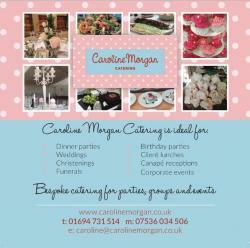 Whatever the occasion, Caroline Morgan's canapés are sure to impress! This is your chance to treat up to 30 guests to a selection of homemade canapés by one of Shropshire's finest caterers. Caroline will make your event individual by listening carefully to what you require and creating a personal menu to compliment your event, ensuring it’s one to remember. Terms & Conditions: Canapés to be dropped off at the event only & delivery within 10 miles of Shrewsbury. You may have heard the phrase ‘Proud Salopians’, and that’s what Wood's are about. They're proud of their beers and they're proud to brew them in South Shropshire. Why? Because they say their area has almost everything – super little towns, villages and pubs, friendly people and stunning scenery. A unique experience for two for beer lovers! You'll enjoy a welcome drink on arrival, followed by a 4 course tasting menu at the new Brewery Tap Restaurant, where each course will be paired with a Wood's Beer. Each diner will also receive a Wood's T-Shirt or Polo Shirt to take home. Wood's Brewery's award-winning draught and bottled beers, including Shropshire Lad and Shropshire Lass, are sold throughout Shropshire and adjoining counties. 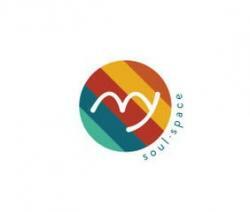 "My Soul Space is a way of life. It is yoga from the inside out. It brings benefits both to the body and mind. Everyone is welcome: from beginners to the experienced yogi. Our instructors reach out to everyone in the class to support new-comers whilst continuing to challenge the more experienced yogi. Our instructors are passionate about yoga, which our students find to be a real source of energy and inspiration. We offer classes six days a week for men, women, young and old, as well as pregnancy yoga. We also provide 1-to-1 tuition. We look forward to welcoming you." Dinner for two at Wild Shropshire, courtesy of James Sherwin (recently featured on BBC's Countryfile!). 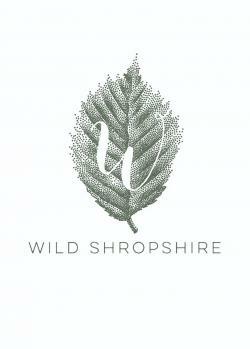 A Shropshire based restaurant serving a multi course surprise tasting menu who say: "We are proud to use produce we have either grown or foraged ourselves or supplied by local artisan producers". Bid now to enjoy Shropshire on a plate! The location is Ternhill Farm House near Market Drayton, TF9 3PX. T&Cs: Drinks to be purchased separately. Date subject to availability at the time of booking. Valid until 1st December 2018. 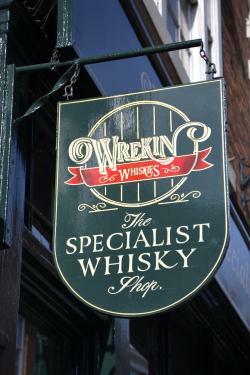 Wrekin Whiskies have selected some of their favourites from distilleries across Scotland, from a beautiful 12 year old whisky from the Tomatin Distillery in Highland to handmade Islay whisky soaps and lip balms. A unique chance to savour a dram from Scotland! Collection only from Self Help Africa's office in Shrewsbury town centre, SY1 1QU. Gift voucher has no expiry date. A five-course tasting menu for two! 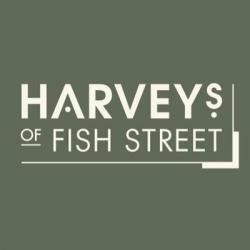 Harvey's are here to share their love of all things food and drink! Their mission is to provide a professional yet friendly restaurant service, specialising in seasonal, locally sourced and fresh food. 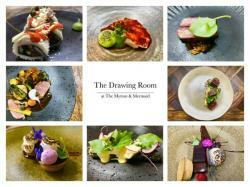 They offer an ever evolving, internationally inspired menu using the very best of British ingredients. Sunday Lunch for 10 sorted! 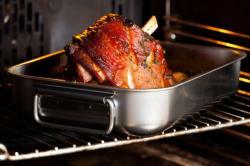 A leg of pork from Middle Farm, enough for 8-10 people. 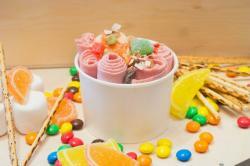 T&Cs: It will be frozen, available for collection directly from Middle Farm, Church Stretton, SY6 6NP. Subject to a telephone call to arrange collection and before the end of the year. Two limited edition, money can't buy 'Golden Tickets' from the best doughnut shop around. Each ticket entitles the holder to one 'free' doughnut of their choice per month for a year! 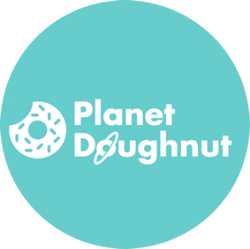 Planet Doughnut opened its doors in Shrewsbury last month (May 2018). Sweet tooth? This lot's for you! Vouchers for The Pour House and The Frogurt Pot have no expiry date; the voucher for Craft & Roll is valid until 31.08.18. Splat n Splodge voucher valid until 17 May 2019; Ginger & Co. voucher has no expiry date. "Blue Lake" boxed, framed painting. Acrylic and mixed media. 10" x 10" Square. It can either sit on its own or hang on the wall. By Shropshire born and bred contemporary abstract artist Belle Andrews, based in Albrighton, Shropshire. Collection only - from Self Help Africa's office in Shrewsbury, SY1 1QU. 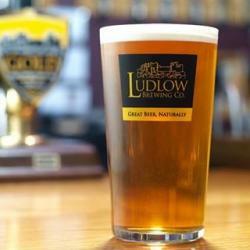 A voucher for a guided tour for two around Ludlow Brewing Co.'s working brewery to learn all about how their beer is brewed. You'll also both enjoy samples of all six of their beers and a free pint! Tours are available 3pm Monday to Friday and 2pm on Saturdays and must be booked in advance. Voucher valid until 24 May 2019. Have fun and keep fit on Climbing the Walls's Action Walls! 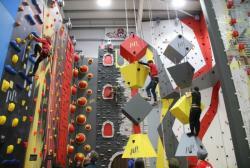 Ingeniously designed to challenge all ages and provide lots of fun, the Action Walls are perfectly suited for beginners or experienced climbers looking for fun, competitive challenges. Each voucher also entitles you to a cup of tea, coffee or hot chocolate in Climbing the Walls's café with a view. Vouchers are for a one hour supervised session on the Action Walls incl. equipment hire. Sessions must be booked in advance and are subject to availability. 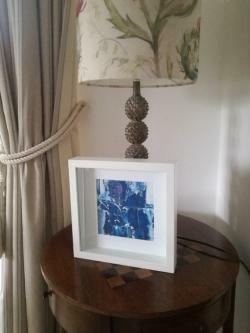 Family-run company Risdon & Risdon brings together the creative passions and skills of Carla Risdon and her sons. They make exceptional aprons to suit any trade, skill or passion and create wonderfully versatile Market Bags which are so useful...and look so good! This is your chance to own an eye-catching and unique piece of contemporary art! It's sure to brighten up any space from home to office with its warm colours. 59" (150cm) x 59" (150cm). Mixed media. 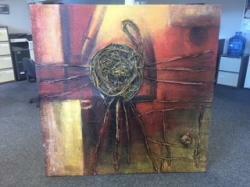 Please feel free to call the Self Help Africa team on 01743 277170 if you would like to arrange to view the artwork. Collection only from Self Help Africa's Shrewsbury town centre office, SY1 1QU. 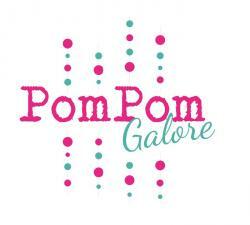 Shropshire based Pom Pom Galore designs and develops all of its pom pom products from concept to completion. A methodical process where quality and function are paramount - all born out of the love of a traditional yarn pom pom! Colours subject to availability at the time of selection. 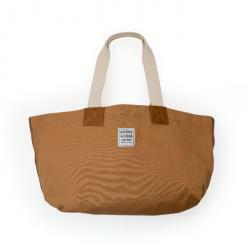 Products will be posted to the winning bidder.